Everything seems to have ripened at the same time in our garden, especially the tomatoes. We are eating them in myriad of ways, but there are still plenty to share. One of my favorite hostess gifts is just-off-the-vine tomatoes or something made with our own vegetables. Cherry tomatoes are always a hit—put them in a nice container that the hostess can keep. Ceramic berry baskets or a cabbage (or lettuce) leaf bowl are my go-tos. Great gift! The cherry tomatoes are great since you enjoy the whole tomato with no left overs to spoil. Every year I feel overwhelmed with native tomatoes at this time of year, and four months from now I always crave them like a distant memory. Enjoy them while ye may! Ha! I’m afraid my abundant harvest of tomatoes this year has left me with absolutely no one left to “gift”. In fact they run the other way when family see me coming with my offerings lol. Think I’ll be drying quite a few and making sauce. Yum! 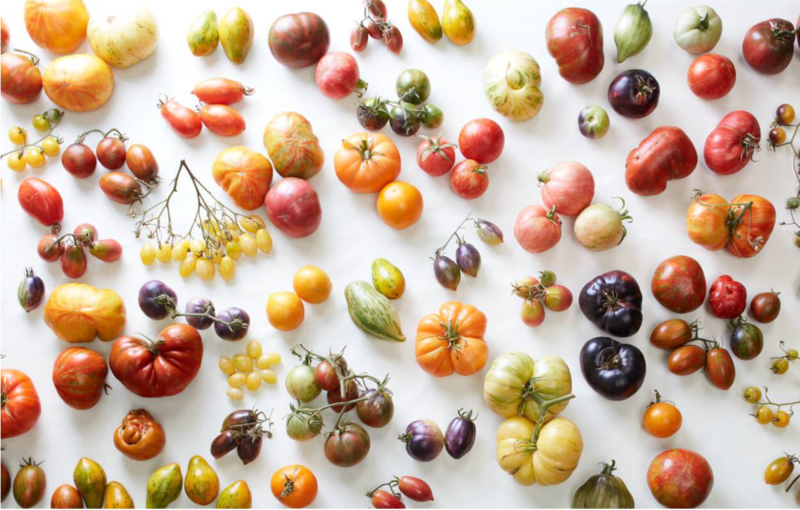 You can never have too many tomatoes! Can the extras.